BPHC was built through and continues to thrive on collaboration. We believe that in order to achieve community-level changes around youth substance abuse, we must involve all parts of our community. 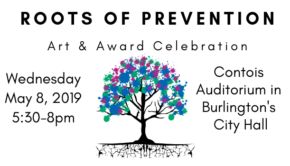 While so much of what we do as a coalition is inherently collaborative, there is one event each year that brings our partners into one room for a time of celebration and reflection —our Roots of Prevention Award Celebration. 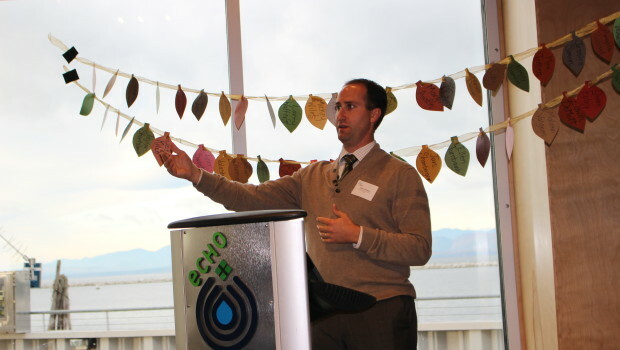 On October 23rd, at our 5th Annual Roots of Prevention Award Celebration, we joined with our neighbors and friends in honoring Dwight Brown from Burlington High School, Ben Lane from the YMCA, Jan Shamberger from Burlington High School, and the HowardCenter’s Safe Recovery Immunization Program. Surrounded by the community they serve, each of these Awardees were applauded for their hard work and dedication to substance abuse prevention and supporting a healthy community. In addition to being a morning of encouragement, laughter, and sometimes tears, the Award Celebration serves as a tangible reminder of the importance of collaborating across sectors to achieve real outcomes. 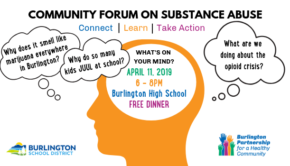 While we deeply desire for everyone in Burlington to be involved in reducing substance abuse among our youth, we understand that “involvement” means different things for different people. If you are interested in supporting our work by rolling up your sleeves and volunteering with us, please send us an email or give us a call! We would love to connect you with a program or project that interests you and allows you to use your talents! We would also like to ask you to consider making a year-end, tax-deductible donation to BPHC. A common phrase among people working in substance abuse prevention is “prevention works!” The reason we say that is because researchers at Iowa State University found that for every $1 spent on prevention efforts, $10 that would later be spent on treatment, associated health costs, emergency room services, and incarceration are saved. Truly, every gift – regardless of its size – will help us reduce youth substance abuse rates in Burlington and makes a big impact in our community’s future!